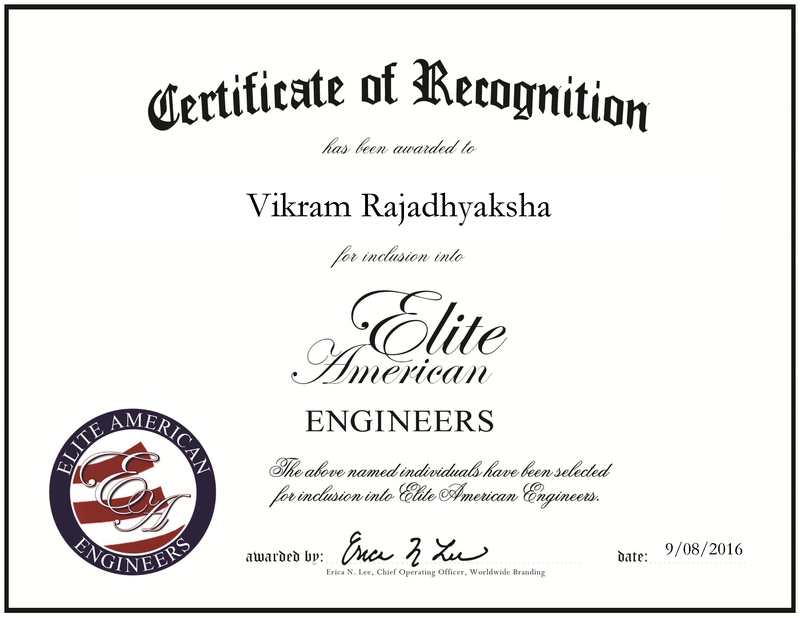 Columbus, OH, September 8, 2016, Vikram Rajadhyaksha, Chairman at DLZ Corporation, has been recognized by Elite American Engineers, for dedication, achievement and leadership in civil engineering. Mr. Rajadhyaksha is honored for his professional longevity in engineering, which spans nearly four decades. Having also founded the company, his passion and expertise run deep into the roots of the organization. He is a leader in developing and managing projects that concern water resources, such as power generation, flood control, recreation, irrigation and domestic consumption. Additionally, his company provides construction management, landscape architecture and planning, program management and surveys as part of its list of services. The inspiration to go into this field came from Mr. Rajadhyaksha’s family, who are all involved in the industry. In addition to managing and leading DLZ Corporation, he also heads DLZ’s international joint venture, India Hydropower Development Company (IHDC). This venture manages hydropower facilities across India. Committed to staying on the forefront of technology and trends, DLZ Corporation has recently opened a new division, DLZ Hydrokinetic Company. This division develops hydrokinetic turbines. Mr. Rajadhyaksha earned a Bachelor of Science in civil engineering from the Indian Institute of Technology and continued at the University of Cincinnati to earn a Master of Science in geotechnical engineering. He maintains affiliation with the American Society of Civil Engineers, the Society of American Military Engineers and is a fellow of the National Society of Professional Engineers. This entry was posted in Civil Engineering and tagged Civil Engineering, construction management, engineers, geotechnical engineering, hydrokinetic, hydropower, program management. Bookmark the permalink.